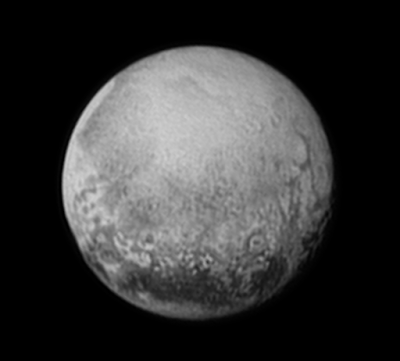 Pluto as seen from New Horizons on 11.07.2015. Be part of the historic moment of the encounter of the Dwarf planet Pluto and New Horizons spacecraft. Tune in to NASA TV and follow this exciting day. Truly new horizons for humankind. Tune in to NASA TV here.